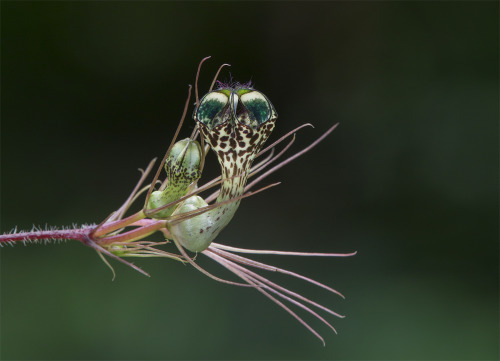 Ceropegias are sometimes mistaken for carnivorous plants, because of their elaborate flower structures that are indeed meant to trap flies. But this is not to “eat” them, but rather to entice and trap them for long enough that the flies pollinate them as they try to find a way out. 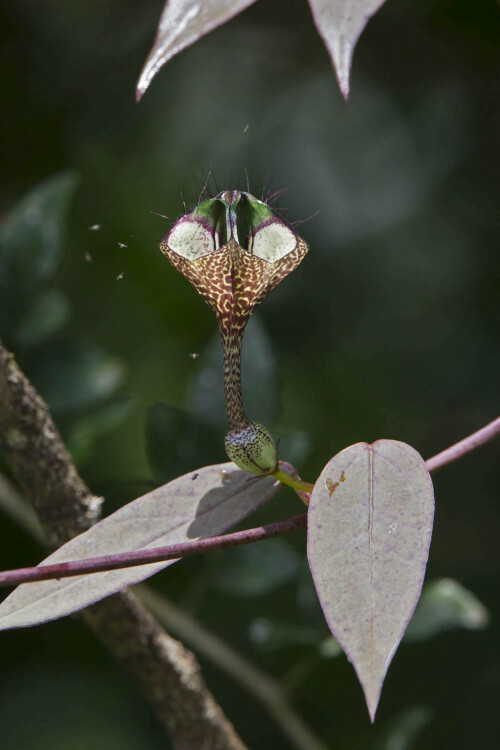 The Western Ghat Ceropegias all tend to be weak trailers or climbers. They grow from round potato-sized tubers sitting fairly deep in the soil. 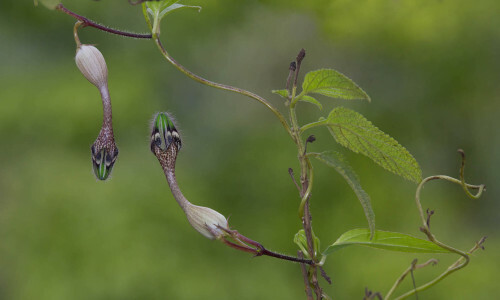 They are inconspicuous for most of the year, until they start to flower in their unique spectacular fashion. 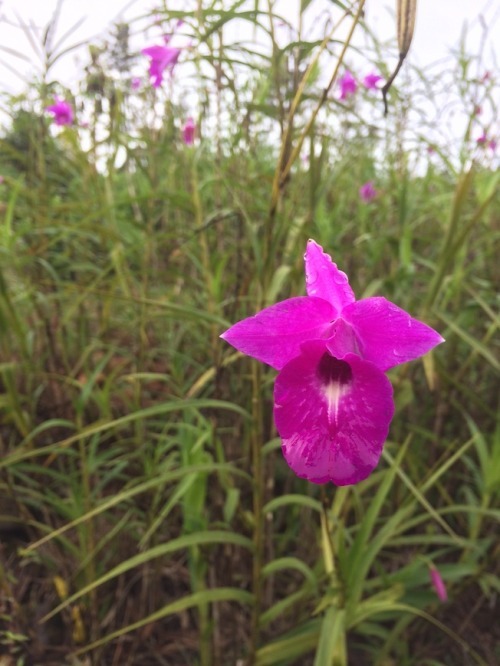 This genus contains a diverse group of over 160 species distributed across Africa and Asia, from the Canary Islands, to Madagascar, India, Sri Lanka, China, Indonesia, Phillipines, New Guinea and Australia. 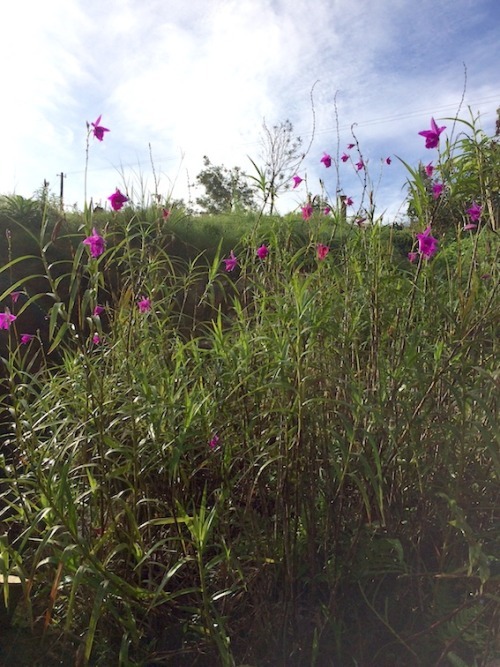 The flowers occur singly or in umbel-like clusters and have a tubular fused petals and sepals. The base of the tube is often inflated and may have downward pointing hairs on the inside as well as the outside. Flowers can vary in colour from deep purples and reds to greens and yellows. In several species, the tips of the lobes form a cage-like structure. 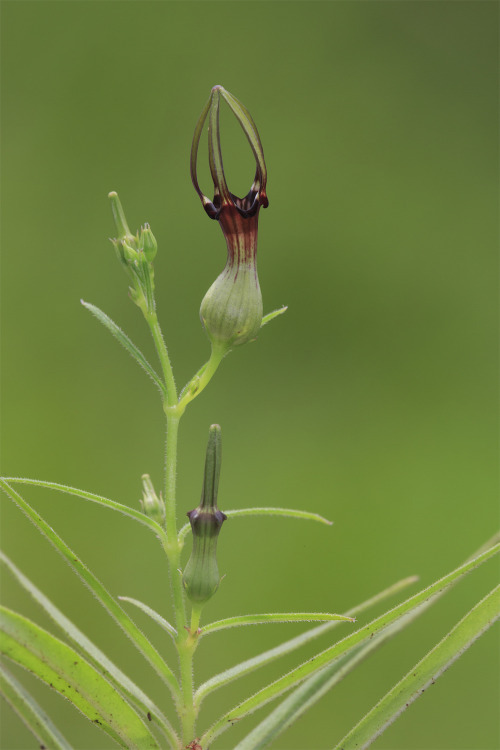 All this elaborate structure in order to trap flies which can remain inside until the flowers wilt. The genus used to be placed in the family Asclepiadaceae which has now become a sub-family (Asclepiadoideae) within the Apocynaceae. Other genera in this family include Tabernaemontana and Rauvolfia in India, as well as the widely planted Frangipani, originally from South America. (Wikipedia). 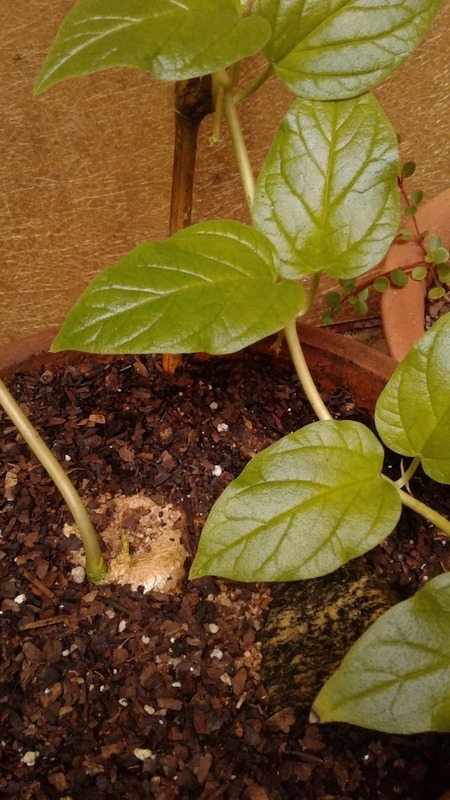 Above: the potato-like tuber of a Ceropegia plant in a pot. Under cultivation, especially in pots and in this humid environment, Ceropegia tubers need to be planted close to the surface of the soil, even a little exposed, as they are very susceptible to rot induced by high moisture. Above: Laly Joseph at work planting Ceropegias. Here it’s possible to see how slender these vines are. 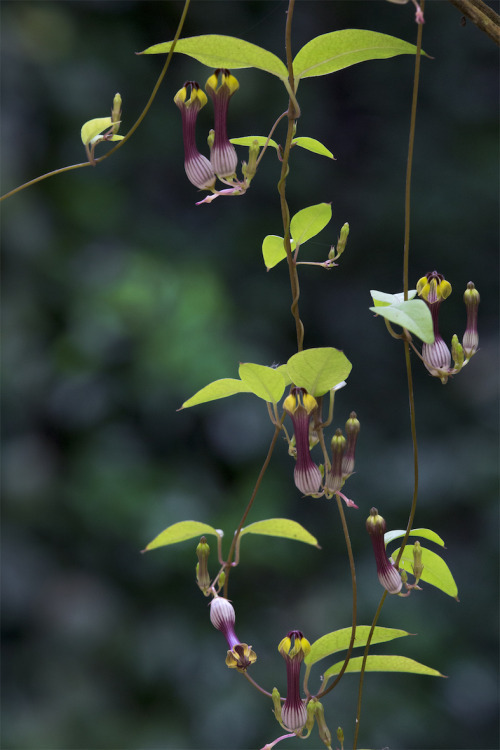 Purvy Jain has had success with conserving three Ceropegia species in habitats. These are now making seeds which are germinating on their own, and beginning to form small populations. Photos by Abhishek Jain and Suprabha Seshan. 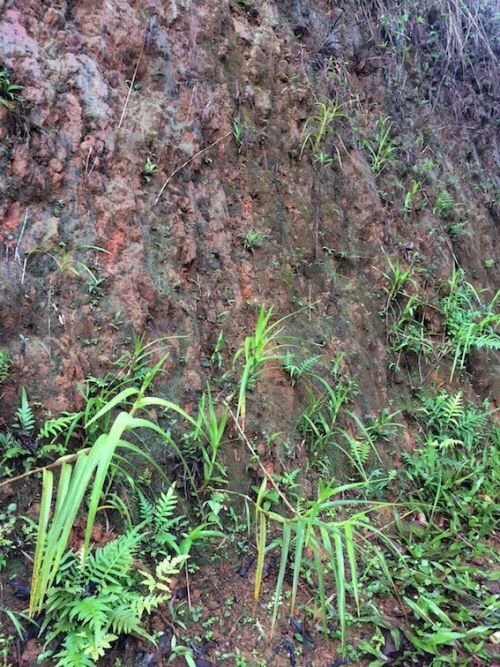 All the plants shown here are Western Ghat species under conservation at GBS. Today a Crowdfunding has started for the Sanctuary! 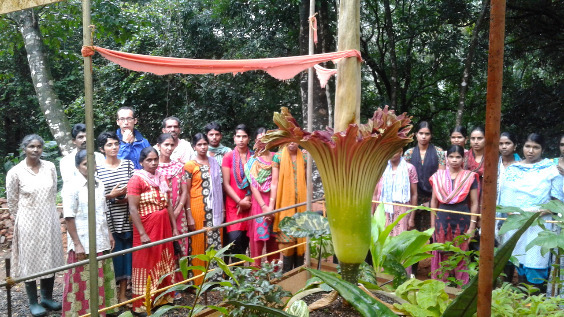 The aim: £7000 will train 5 young rural women in plant species conservation at the Gurukula Botanical Sanctuary, Western Ghats, India. We need to raise £7000 to train five young rural women as ‘Ecosystem gardeners’. 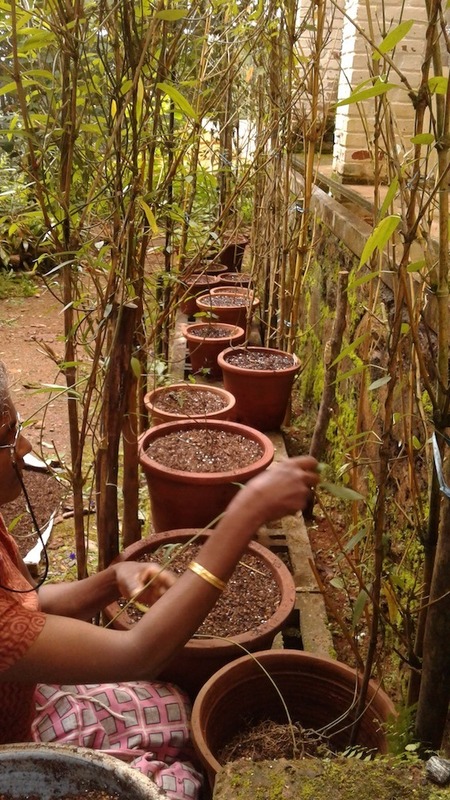 In a small corner of the Western Ghats, the Gurukula Botanicla Sanctuary has been conserving the herbaceous flora of the forests. 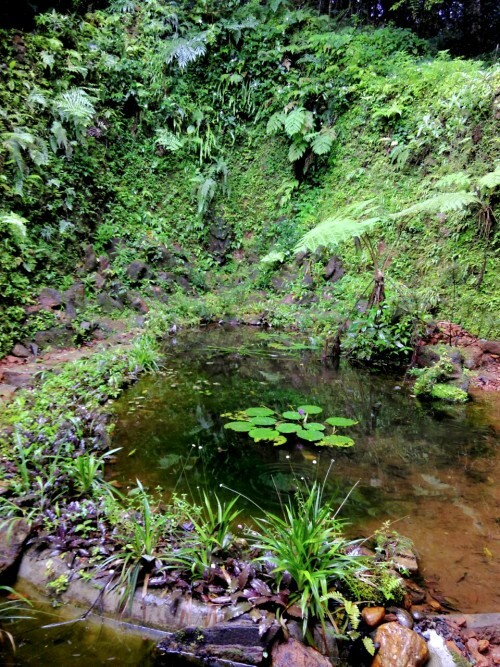 This includes instruction and practice in the cultivation of endangered plants. Trainees are provided with meals, lodging, and a stipend. English language classes are available. Graduates of the one-year course would be expected to continue in fully-paid work at the Sanctuary for at least one more year. We’ve got 60 days to raise the funds.